Inglewood's King Lil G has been making some moves. A lot of my LA people have been telling me about him and posting pics from his show. He has the story to back up his lyrics, too. "...a troubled youth where he joined a gang, dropped out of school, fathered a child while he was still a minor, and became incarcerated. 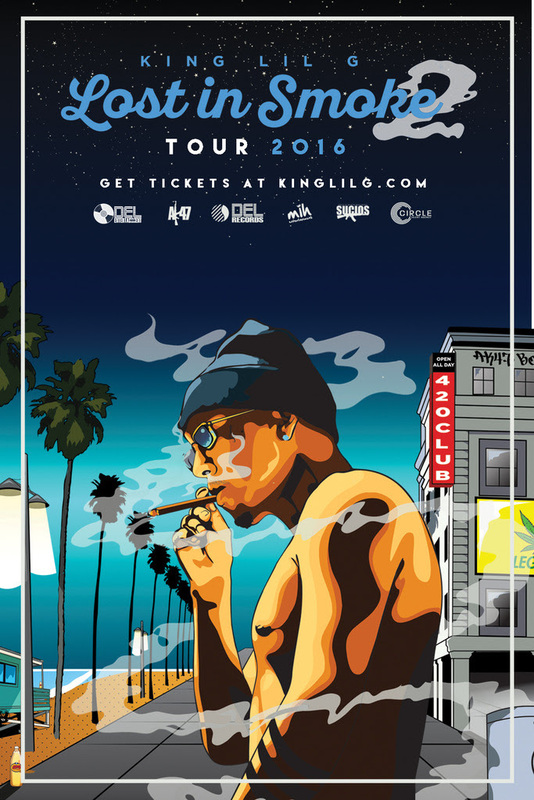 But beyond his rough exterior, King Lil G is a true artist with an honest message of Hope." ""I wanted to rap about the struggle - real street stuff that I was going through," says King Lil G. He created the Sucios Movement, which he explains as "a positive movement that has to do with freedom and not being afraid to accomplish and do things... its empowerment for those that don't think they can make it and come from nothing."" This dude is ill and he's going on a nationwide tour soon. Check out his new track, "Dope" featuring fellow-CA native, Nipsey Hussle.